Do you want to learn about Drupal vs WordPress? Or want to know about which CMS is better than the other among the two of them. Choosing the right CMS for your website is extremely important. WordPress is taking the web industry by storm with 32.7% of all the websites. Whereas, if we talk about Drupal, the other power pack CMS, it merely covers 1.9% of all websites. 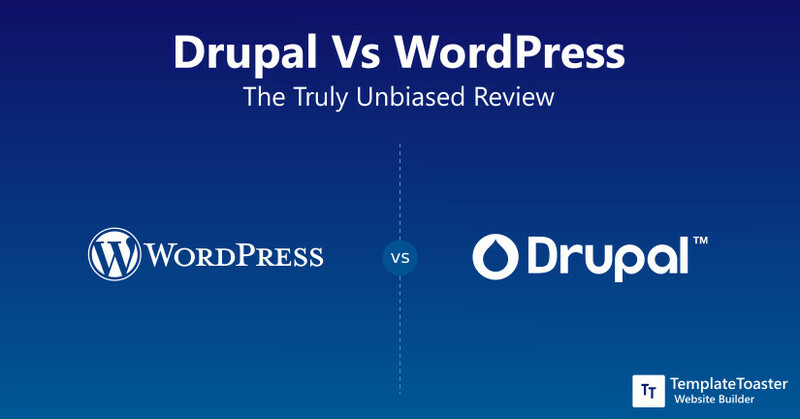 But, as I said I won’t be biased (towards any CMS features) so here is a completely unbiased review of Drupal vs WordPress. Certainly, it is a never-ending battle between the CMSs and we have to keep in mind that every CMS is built with some unique features to serve some specific purposes. And we will be analyzing the key components associated with Drupal and WordPress. Nonetheless, this comparison will help you decide which CMS is best for you to start with. Apparently, Drupal and WordPress both are comprehensive in their own respective zones. Having their own set of pros and cons. But, the question is what do we need a CMS for? What a CMS has to do with website creation? And the answer is really simple. A CMS is an easier and effective approach to organize things online. However, the CMS selection entirely depends on the purpose of your website production. Since you’re already aware of the existence of these two CMSs, it’s just a matter of choosing the right option for yourself. In fact, here at Templatetoaster WordPress website builder, this comparison post between Drupal vs WordPress 2019 will answer all your queries. Alright then! Let’s get things underway. Drupal vs WordPress: Which one is an ideal choice for you? It gets way easier to produce and manage a website with a CMS. With the range of options (CMSs options) available in the market, anyone with or without technical skills can create a website. However, it totally depends on the type of CMS you are using and the kind of features a CMS is offering. There are various factors on the basis of which you can pick the best option for yourself. Let’s begin with WordPress first. WordPress is there in the market for more than a decade now and it has grown into the most popular content management system. It is an easy and user-friendly platform that comes with one click installation. Once the WordPress is up and running you will get to work with the most intuitive interface called as a dashboard. Thus, helping you maintain your website with ease. You can easily add content, delete, and customize your website’s pages with simple and easy options. There are different tabs available with distinct features to manage your website. Creating content is as easy as pie. And you can enjoy a feast of plugins with WordPress. It is an apt choice for beginners due to its straightforward features. But that doesn’t mean it can’t serve professionals. In fact, most of the professional users rely on WordPress only and 59.8% coverage of web quite evidently proves that. Drupal is free and open source CMS that helps you build complex websites, enterprise-level websites, and web applications. Drupal is suitable for both beginners and professionals. However, It takes a while to get used to with Drupal’s taxonomies. And that is why it is easier to handle for professionals who are fluent with coding and web technology. Drupal also has many extensions to solve your purpose. It is easy to install Drupal. It may sound similar to WordPress but once you start using one of them you’ll get to know the difference. And the difference between the usage will let you choose the one over the other. Let’s take a look at the comparison table and get a brief about the two. Drupal is an open source content management platform to create websites and web applications. WordPress is an open source software lets you build beautiful sites, web applications, and blogs. Now let’s dig a bit deeper and check out the comparison in detail. To choose which CMS is better between Drupal and WordPress truly depends on the level of skill set. WordPress is simple and easy to use. On the other hand, Drupal is simple for those who have pretty good technical skills. Let’s dig a little deeper. 1. Drupal vs WordPress: Which is Ease of Use? If we talk about the ease of use then Drupal isn’t hard to use, it may seem hard to learn how to use Drupal for some users. As compared to WordPress, Drupal user needs to be technically proficient, it requires some basic knowledge of HTML, CSS, and PHP to manage the website. Thus, may not be suitable for beginners. 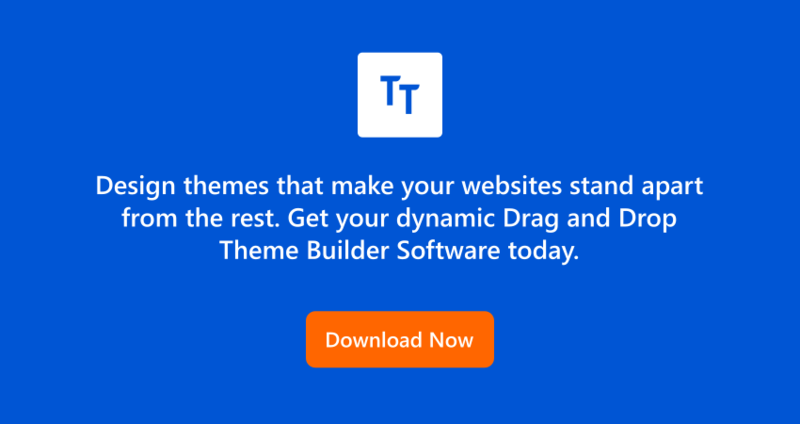 Any skilled user can effortlessly create advanced sites with Drupal theme builder. To keep your website updated you need to have technical knowledge. All the elements should be compatible with the version being used to keep your website running. If you have limited technical knowledge or you’re a beginner, then WordPress is an excellent choice to start with. Or if you wish to get your website up and running in as less time as possible then also you should choose WordPress. WordPress is user-friendly and you start blogging with WYSIWYG editor. 2. Drupal vs WordPress: Which provide more Security? I am sure you haven’t heard of any news that a Drupal site has been hacked. Did you? It is true that Drupal does not power as many websites as WordPress but when it comes to security Drupal is a clear winner. Security is a significant feature of Drupal. Your website is incredibly secure with Drupal. It is coupled with regular monthly updates. WordPress websites are more likely to get hacked. Hackers find it easy to hack a WordPress website with a malicious script. The third-party extensions and themes are highly vulnerable. Due to its huge popularity, people try to hack WordPress sites more often. But, as we say every action has an equal and opposite reaction, the WordPress developers have created ways by which you can easily recover a hacked WordPress website. You can overcome these vulnerabilities so, don’t let this thought scare you. Because while working with WordPress you will get to use a massive storehouse of themes and plugins. And chances are you might encounter a theme or a plugin that is coded awfully. However, you can get back to your WordPress admin after being hacked. But, you should always try not to get to that situation. Take full security measures and reduce the chances of any security vulnerability. You can also use WordPress brute force protection plugins to keep your site safe and secure. 3. Drupal vs WordPress: Which offer more Themes & Plugins? Although Drupal is not as popular as WordPress still it offers a great number of extensions. However, searching the required and available extensions can be a bit tough task for any beginner. People with experience and technical knowledge can easily find the right extensions for their project. So, all and all it’s a bit time consuming and effort demanding thing to get an extension for your Drupal website. Same is with Drupal themes, but just with the right knowledge, it isn’t that tough to create Drupal theme from scratch with TemplateToaster website builder. WordPress is a widespread CMS and it offers tons of themes and plugins to boost the functionality of your site. Even those who are non-technical can install and use the extensions. There are heaps of free themes which you can use for your website with amazing functionalities. However, if you wish to have more premium features then you can go for tons of paid themes. On the other hand, you can easily create WordPress theme from scratch that too without any coding. WordPress is full of opportunities. And you can never go out of the trend with WordPress. 4. Drupal vs WordPress: Which is faster? When it comes to speed Drupal has an advantage. It can generate high-speed websites in no time. Drupal does not involve many resources at a time and this results in blazing fast server communication. You can easily manage your website no matter how many pages are there on your website. You can use the extension to help you with the speed. Keep this ultimate Drupal SEO guide handy to always have the grip over the SEO of your website. As SEO optimized website attracts more leads. If we consider all the factors then speed is the only factor where WordPress lacks. It’s obvious that if you know what to do to achieve a specific result, then it’s not going to take much of your time. Whereas, if you have to learn something before you can actually employ it to your website, then it can take little more than the actual time. SEO plays an important role in website performance so, if you know the simple and practical strategies to boost your WordPress SEO, then you can never go wrong with your site’s ranking. And always try not to overload your site with plugins to keep up the speed and performance. 5. Drupal vs WordPress: Which has Flexibility? There are various modules to do the customizations in a Drupal website. The only disadvantage is that to make the customizations you should be well-versed with coding. The extensions you get with the Drupal are required to locate and installed manually and if you are not fluent with coding then it might be quite difficult for you to get there. Here is our list of Essential Drupal Modules. On the other hand, if we talk about WordPress, it offers an intuitive interface to get through all the tough process. A Drupal website can be hard for a novice user to manage because it involves technical skills. Being an initiator, you would need themes and plugins to extend the functionality of your website. Unlike professional developers who code themselves to achieve whatever functionality they want on their website. Though they also use themes and plugins in order to save the time. WordPress is flexible enough that gives you the freedom to create a website of any size and for any purpose. Here is our list of must have plugins for a WordPress website. The flexibility of WordPress lets you build your dream website without many efforts. Drupal has a steep learning curve. You may find it complicated and complex to understand the Drupal interface. You have to have some basic technical knowledge to create a Drupal website. In fact, to manage a Drupal website you need to be aware of the technical things so that you can handle the technical stuff on your own. WordPress gives you a fully functional website even if you don’t know anything about coding. The intuitive interface does everything for you. You can easily find a theme related to your business from its rich repository and create your website in no time. All the novice users can create WordPress website with ease by using WYSIWYG (What You See Is What You Get) editor. If you are using a WordPress website builder that offers you easy access to free WordPress themes then that would be no less than a cherry on the cake. If you wish to have your website in more than one language due to your largely expanded business, then you require a CMS that support multilingual functionality. When you create a website with Drupal, it lets you manage a multilingual website effortlessly. There are modules present that will help you translate the site to a preferred language you want. WordPress will always ask you at the time of the WordPress installation to select the language for the WordPress admin. A WordPress website created in the English language can further be changed into another language manually as well as with the help of plugins. You will find numerous plugins to transform your WordPress website into multilingual. Although you can use free plugins, however, for further premium services, you might have to reach your wallet to purchase premium plugins. Choosing a right CMS is an absolutely important factor that plays an essential role in the long run for your business website. Your website will be your online identity therefore, it should be as easy to handle as possible. However, on the basis of above-discussed points, we can say that Drupal is a strong CMS equipped with tons of features. On the other hand, WordPress is a powerful and reliable CMS that also offer you an array of features with a multitude of themes and plugins. Needless to say, instead of judging the CMSs, you should look for the one that can serve you better in your particular project. Isn’t it? It’s pretty obvious when you think about it. Moreover, it doesn’t matter how good or bad a CMS is, as long as it fits in your requirements and serving your purpose. Indeed, you can make a choice on the basis of your specifications. Mere CMS can’t give you a successful website you need a great website builder as well. However, there are plenty of website builders available in the market but you won’t find any better than TemplateToaster. Now it’s your turn. Use the comments section below and let me know about your experience and above all, which CMS out of Drupal and WordPress, you chose to work with. Stay tuned for more updates.